Summary: The vital public policy debate over climate change is deadlocked. This is the sixth in a series about ways to restart the debate — and resolve it. This post gives Milton Friedman’s advice about the role of predictions as the gold standard for validation of theories. This implies that the key to policy action is testing climate models, the only means to give a majority of the public confidence in their forecasts. The debate about public policy for climate change has deadlocked. There are many factors at work, but two stand out as unnecessary problems — as “own goals” by scientists. First they didn’t provide information about data and methods to their opponents (there are always opponents to such large public proposals). Second they didn’t provide compelling proof that climate models’ predictions are reliable — often ignoring the large literature about validation of theories and models. This series suggests that we restart the debate by better using our knowledge about the methodology of science — especially about models, the embodiment of theories. Box’s insight above applies strongly to debates about policy, where decision-makers are seldom masters of the subject — and so must rely on scientists’ insights. Previous chapters looked at suggestions about testing models from Paul Krugman, Daniel Davies, and Karl Popper. This post examines a seminal essay by Milton Friedman about the use of theories. Like Karl Popper, he sees predictions as the gold standard for validation of theories. Theories’ value lies in their ability to make accurate predictions, not the degree of their fidelity to nature. That is, abstractions and simplifications are useful if they improve predictions; additional complexity or detail is not useful if it fails to enhance predictions. Friedman was discussing economics, but these excerpts apply with equal force to climate science. Excerpts. Headers and red emphasis added. (1891) … John Neville Keynes distinguishes among “a positive science … a body of systematized knowledge concerning what is; a normative or regulative science… a body of systematized knowledge discussing criteria of what ought to be … a system of rules for the attainment of a given end”; and comments that “confusion between them is common and has been the source of many mischievous errors”. … Any policy conclusion necessarily rests on a prediction about the consequences of doing one thing rather than another, a prediction that must be based – implicitly or explicitly – on positive economics. … differences about economic policy among disinterested citizens derive predominantly from different predictions about the economic consequences of taking action – differences that in principle can be eliminated by the progress of positive economics – rather than from fundamental differences in basic values, differences about which men can ultimately only fight. … The ultimate goal of a positive science is the development of a “theory” or, “hypothesis” that yields valid and meaningful (i.e., not truistic) predictions about phenomena not yet observed. … Viewed as a body of substantive hypotheses, theory is to be judged by its predictive power for the class of phenomena which it is intended to “explain.” Only factual evidence can show whether it is “right” or “wrong” or, better, tentatively “accepted ” as valid or “rejected.” As I shall argue at greater length below, the only relevant test of the validity of a hypothesis is comparison of its predictions with experience. The hypothesis is rejected if its predictions are contradicted (“frequently” or more often than predictions from an alternative hypothesis); it is accepted if its predictions are not contradicted; great confidence is attached to it if it has survived many opportunities for contradiction. Factual evidence can never “prove” a hypothesis; it can only fail to disprove it, which is what we generally mean when we say, somewhat inexactly, that the hypothesis has been “confirmed” by experience. To avoid confusion, it should perhaps be noted explicitly that the “predictions” by which the validity of a hypothesis is tested need not be about phenomena that have not yet occurred, that is, need not be forecasts of future events; they may be about phenomena that have occurred but observations on which have not yet been made or are not known to the person making the prediction. … Evidence cast up by experience is abundant and frequently as conclusive as that from contrived experiments; thus the inability to conduct experiments is not a fundamental obstacle to testing hypotheses by the success of their predictions. But such evidence is far more difficult to interpret. It is frequently complex and always indirect and incomplete. Its collection is often arduous, and its interpretation generally requires subtle analysis and involved chains of reasoning, which seldom carry real conviction. … It renders the weeding-out of unsuccessful hypotheses slow and difficult. They are seldom downed for good and are always cropping up again. … the relevant question to ask about the “assumptions” of a theory is not whether they are descriptively “realistic,” for they never are, but whether they are sufficiently good approximations for the purpose in hand. And this question can be answered only by seeing whether the theory works, which means whether it yields sufficiently accurate predictions. Economics as a positive science is a body of tentatively accepted generalizations about economic phenomena that can be used to predict the consequences of changes in circumstances. What can we get from Friedman’s insights? Friedman has lessons for both sides in the climate wars. Many skeptics have unrealistic expectations for models, which this essay can help reset. More important for the policy debate is Friedman’s emphasis on validated predictions, something potentially of great power in the public policy debate — but which climate scientists have largely ignored (preferring hindcasts and appeals to authority). Friedman specifically refutes the common rebuttal by climate scientists — that they cannot test climate models’ forecasts vs. future data. He says that forecasts can be validated by “observations … not known to the person making the prediction“. Climate scientists can test the models used in the past IPCC Assessment Reports by running them with current data — not vs. scenarios, as originally done, but vs. observations made after their publication. Milton Friedman (1912 – 2006) was an American economist. He received the 1976 Nobel Memorial Prize in Economic Sciences. See his Wikipedia entry for more information about his work. (1962) he recommended adoption of a volunteer military, floating exchange rates, abolition of medical licenses, a negative income tax, and school vouchers (he founded the Friedman Foundation for Educational Choice) — far he’s 2 for 5. See a preview of Capitalism and Freedom here. How we broke the climate change debates. Lessons learned for the future. Climate scientists can restart the climate change debate – & win. Thomas Kuhn tells us what we need to know about climate science. Daniel Davies’ insights about predictions can unlock the climate change debate. Karl Popper explains how to open the deadlocked climate policy debate. Coming: Gavin Schmidt and Steven Sherword explain the policy gridlock. Coming: Why the policy debate is deadlocked. How we can restart it. For another perspective on Friedman’s essay see Julian Reiss’ excellent review. Please like us on Facebook, follow us on Twitter. For more information see The keys to understanding climate change and My posts about climate change. Also see all posts about Milton Friedman. Previous Post Populism carries Trump to the nomination. He’s completed 1 of 4 steps to victory. Next Post Remember the world-shaking effects of the March 2014 OPM hack! Reblogged this on Utopia – you are standing in it!. I wouldn’t worry too much. 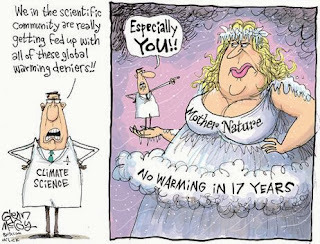 I believe that very soon the greatest AGW sceptic of them all – Mother Nature – will resolve the debate once and for all. Yes, I’ve long said that eventually Nature will answer our questions. That’s wrong in two senses. First, we should worry because we do not know the answer (other than those with sublime certainty that they KNOW). Some outcomes could prove very painful we if are not prepared. Second, we should worry since the policy deadlock means that we are unprepared for the almost inevitable repeat of past extreme weather (as Tropical Storm Sandy showed NYC). This is quite mad, and the cost of repairs is likely many times (perhaps even one or two orders of magnitude) greater than the cost of preparation. Worrying won’t help at all, I’m afraid. There are some things that it is not given to us to know – and that we never can know. So stated the IPCC’s Working Group I: The Scientific Basis, Third Assessment Report (TAR), Chapter 14 (final para., 14.2.2.2), p774. So not building on flood plains, not destroying the wetlands that absorbed the tidal surges and generally behaving in a more circumspect fashion and realising that we can no more control the climate than we can change the time the Sun rises and sets will go a long way towards that. But we are a lazy, optimistic species, and never ever get off our arses until the last possible moment. And personally, based on almost seven decades of muddling through, I wouldn’t have it any other way! It’s a sign of the terrible communication by scientists of the climate issue that after 28 years intelligent and well-informed people have such basic misunderstandings about this issue. Worry is the first step to action. If we don’t worry then we don’t act. (2) I assume you are repeating what you read on some skeptic website, who didn’t give you the full quote. It continues to explain that we can estimate the probability distribution of climate outcomes. Which is good enough basis to act upon, if the models are adequately validated. Nice that you have religion. Please excuse the rest of us if we science to run the world as best we can. False. We are controlling the weather by emissions of CO2, methane, and aerosols. Oh, you ASSUME, do you? You couldn’t be more wrong if you tried. My understanding of science is NOT GAINED FROM SCEPTIC WEBSITES. it is gained from years of higher education and a whole career utilising that knowledge and understanding. However, I am coming to the conclusion that much of your own knowledge of climate science is derived from your readings of crackpot alarmist ones, so please drop the patronising, supercilious BS, you’re starting to look like Ken Rice. My introduction to computer modelling took place in 1971, involving sound cancellation in cars. Since then I have also been involved in modelling in the financial industry – and got well paid for my expertise. Anyone who claims that a computer game simulation of an effectively infinitely large open-ended non-linear feedback-driven (where we don’t know all the feedbacks, and even the ones we do know, we are unsure of the signs of some critical ones – the sign of the feedback of clouds typically reverses every 24 hours) chaotic system – hence subject to inter alia extreme sensitivity to initial conditions and bifurcaction – is capable of making meaningful predictions over any significant time period is either a charlatan or a computer salesman. Ironically, the first person to point this out was Edward Lorenz – a climate scientist and one of the first to discover and recognise the limitations imposed by chaos theory. You can add as much computing power as you like, the result is purely to produce the wrong answer faster. So the fact that they DO appear to give relatively consistent answers – albeit entirely incorrect ones – is evidence that someone is extracting the urine. See above, religion be damned. Non-linear systems are not amenable to solution by any means whatsoever. Have you never heard of computationally intractable problems? Have you the remotest concept of the implications of computational intractability on our ability to know the future? As it happens, I have used science, thermodynamics, statistics and computation throughout my career, and benefitted greatly as a result. It is not I that base my beliefs on religion, if you believe that our species are capable of omniscience and omnipotence – as seems to be the case – that would in fact be you. Ah, conflating climate and weather now. Right. Every time I take a piss I affect everything – right down to convection currents in the atmospheres of nearby stars. I do not deny that we alter our environment, I DO contend that our effects on the Earth’s climate are so small as to be negligible, that nothing we do can affect it any more than we can alter the time the Sun rises and sets, and the astronomical resources devoted to the illusion that we can are tragic in the extreme. That’s sad. I assumed you were repeating what you read elsewhere. But you say that you deliberately posted a misleading excerpt from the IPCC’s TAR to give the opposite impression from what the passage actually said. As for the rest, I’ve lost interest in people explaining why scientists are wrong. Take it elsewhere. Comments moderated unless you are posting fact or expert opinion. Pingback: Milton Friedman’s advice about climate models, & how to win the policy debate | Watts Up With That? Pingback: We can end the climate policy wars: demand a test of the models | Watts Up With That? Pingback: Paul Krugman explains how to break the climate policy deadlock | Watts Up With That? Pingback: Disturbing research about the use of “narratives” in climate science papers | Watts Up With That? Pingback: A climate science milestone: a successful 10-year forecast! | Watts Up With That?